The future brings much economic uncertainty and most businesses are tightening their belts to make sure they are saving as much as possible. 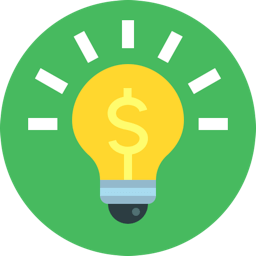 Part of that savings strategy includes energy saving techniques like making adjustments to your business lighting systems. Upgrading or modifying from older fluorescent lighting systems to LED lighting systems is an easy way to improve lighting efficiency in your office. Research states the cost savings of a new LED system could be as large as 40% on your utility bill. There are also tax incentives and utility rebates for switching your lighting systems which will also add to the money you could save. Improved LED technology has also created the benefit of long-lasting Lumen maintenance. Traditional light fixtures tend to lose their light output as Lumens decrease shortly after installation. Over their lifetime, LED fixtures offer better Lumen maintenance and therefore last longer than their predecessors. Retrofitting lighting is the process of replacing components of an existing lighting system with parts that are more energy efficient. Making this transition still costs money in the short-term, but results in significant long-term savings and will make a business facility more eco-friendly. Switching to a more reliable LED system can also help your maintenance department be more productive. The average maintenance department is typically short-staffed and can’t always handle the maintenance for a substantial amount of lighting equipment. To cut down on the time the maintenance team spends replacing lamps, ballasts or bulbs, switch to LED technology which could last up to 10 years. With the advanced technology of LED systems, customers have access to more reliable equipment, long-lasting, quality fixtures and installation experts who are able to provide unique lighting solutions. Come and visit our showroom to view some of these amazing products – our experts are here to help you learn more about saving money on lighting and becoming more efficient with energy saving techniques!